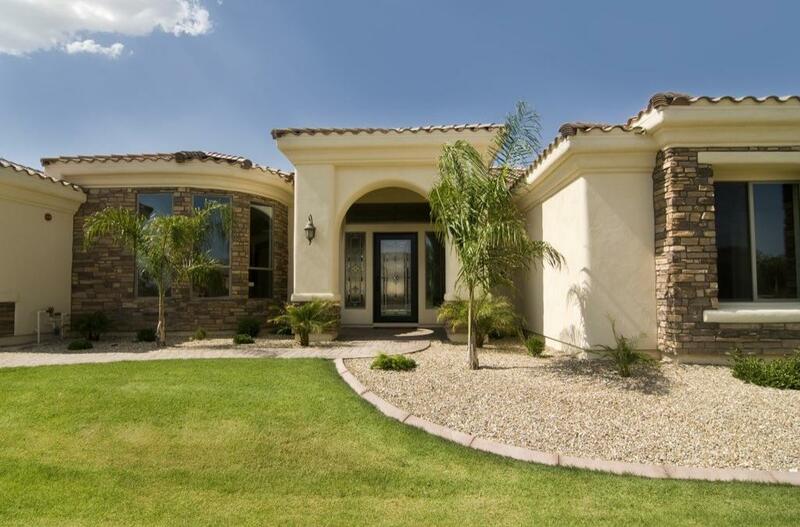 Why You Should Hire A Real Estate Attorney if you live in Mesa or Gilbert. When buying, selling, renting or simply owning real estate, it is sometimes necessary to hire a real estate attorney. While the state of Arizona does not require a lawyer for real estate transactions, there are many situations when having an attorney can benefit your best interests. We will discuss how attorneys can be a valuable commodity in both residential and commercial transactions. Even simple real estate transactions can suffer a setback if something does not go according to plan. A real estate attorney can review all binding legal documents for accuracy, advise you on ways to protect your interests, and explain the process to you in terms you can understand. A real estate attorney can be helpful in every or any real estate transaction. However, in Arizona, parties in a basic residential real estate transaction generally do not hire an attorney because they feel as if they can rely on the advice of other professionals involved in the transaction, like their real estate agent or the title officer. This can lead to a false sense of security, as these other professional, while knowledgeable in their own areas, cannot provide legal advice that could be invaluable during a real estate transaction. You should especially consider hiring an attorney if a transaction becomes complicated such as when the seller provides carry-back financing, there is an agreement for sale (i.e. no real estate agents), or a lease option to purchase. Below are some situations where you may find value in having an attorney represent you if you are involved in a residential real estate transaction. Buying or selling a house or condo – In residential real estate transactions, an attorney can review all agreements for accuracy, insist on the inclusion of legal clauses that protect your rights, and represent you at the closing. Making an offer – An attorney can help you make a fair offer on a property while protecting your rights in the deal. Transfers of Real Estate Ownership- An attorney should also be employed if the parties are transferring real estate for estate planning or succession purposes. We have seen a number of cases where property owners hire Certified Legal Document Preparers to transfer real estate, or even attempted to draft deeds themselves to convey real estate for estate planning purposes. These are often done incorrectly. In those cases, it can become difficult if not impossible to fully correct errors due to laws that affect real estate and rules of succession. While we’d like to say that buying and selling property is always cut and dried, there are times when you do need a real estate attorney who can guide you through any hurdles and relieve you from the potential hassles, headaches, and sometimes heartache associated with some real estate dealings. Below are just a handful of situations that may require you to have the representation of a real estate if you are a buyer or seller in a real estate transaction. That’s just on the residential side…. now let’s talk about the commercial side. If you have a commercial real estate transaction, it is even more important to hire a lawyer. While individuals buying homes enjoy a number of legal safeguards, commercial buyers do not. Courts assume that those buying and selling commercial real estate understand the intricacies of the situation when in reality many of them do not. Buying or selling commercial property – From helping to determine fair market value to ensure that building code violations are addressed before the transfer of ownership, there are many ways a real estate lawyer can help you buy or sell commercial property. A landlord will want a quality form of lease that has been drafted and reviewed by an attorney that provides the landlord with the necessary protections. Likewise, the tenant will want an attorney to review the lease to make sure that the lease is not completely one-sided. In a commercial purchase, the buyer and seller should both be represented by attorneys. Your attorney will review and revise the terms of the purchase agreement and protect your interests. The buyer’s attorney will make sure that all of the due diligence timeframes are calendared and met, but will prepare the necessary title and other objections. The seller’s attorney will respond to the objections and assist with resolving any of the title and other issues. In addition to the scenarios listed above, attorneys should be utilized in negotiating commercial loan documents, residential and commercial loan workouts, landlord/tenant lockouts and evictions, and foreclosure and short sale matters. have you thought about “other considerations” that can help you make the most of your condo, apartment for rent, or commercial property? Income-producing property can be time-consuming and difficult if you don’t have a handle on your numbers. A real estate attorney can also help you analyze your income and assess potential deals to make you aware of potential pitfalls. Breakdown cash flows – There’s more to your cash flow than your rental income minus your mortgage payment. Too many landlords forget to factor in property maintenance and advertising expenses, among other expenses. This leads to a skewed analysis of profits and loss. We can review your income-producing property’s cash flow and put things in perspective for you legally. Explain business ramifications of income-producing property – When you are considering a new investment opportunity, it’s easy to become so excited about the income potential that you overlook considerations. Is the property in a good neighborhood and can it command the rent you need to make income? If not, you risk carrying a negative cash flow until things change. Even if you have done your own analysis of a rental property and feel ready to put in an offer, it can be helpful to run things by us first. Our business lawyers can advise about asset purchases, purchase and sale agreements, potential hazards, pitfalls, and more. Plan for and mitigate against potential areas of liability arising from the ownership of income-producing property – Our real estate and business attorneys can help you structure an entity ownership structure plan that will limit your individual liability. These are just a few of the things to consider hiring an experienced real estate attorney in Arizona. We can answer more of your questions and discuss your needs as part of your professional team to represent you for years to come. If you would like to consult a real estate attorney, contact The Law Offices of Fowler St. Clair. You can learn more about the types of real estate issues we can help with here. We hope this article is at least informative and gave you some things to think about if you are considering hiring a real estate attorney. © 2018 Fowler St Clair PLLC, All Rights Reserved. The information presented is not legal advice, is not to be acted on as such, and may not be current and is subject to change without notice.